Minerva, NY, James L. Cummings (Larry) passed away Sunday January 27, 2019. He was born on Good Friday April 23, 1943 at St. Mary’s Hospital in Troy, NY, the son of the late William L. Cummings and Margaret Keenan Cummings Buzzi. Larry was also predeceased by his two brothers William of Tenn. and John of Syracuse, one sister Patricia of Schenectady, 2 nieces Christina and Shannon, one nephew John J. Cummings whom he loved and raised as his own, and two great nephew’s, Stephen and Michael. Larry taught school in Troy, NY and Carthage, NY before returning to Minerva. Here he substituted in several area schools, most recently at Minerva Central School. He worked nineteen years weekends a Murdie’s Store, and for several summers as director of the Minerva Youth Program, and as foreman for the youth Corp and Beautification Program. He worked over 43 years for the Vicario House and the Stewart House at Hewitt Lake. 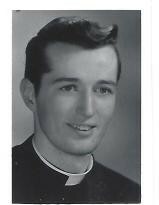 Larry was a parishioner of St. Joseph’s Catholic Church in Olmstedville. He was a former member of the Church Choir and a former member of the Parish Council and served on the cemetery committee. Larry is survived by two sisters, Margaret of Latham and Dawn of Troy, several nieces and nephews, many great nieces and nephews and many devoted friends near and far. The family would like to offer a special thank you to his dear friend John Gatchell. A mass of Christian burial will be offered by the Rev. Phillip Allen Saturday morning Feb. 2, 2019 at 11:00 AM at St. Joseph’s Catholic Church in Olmstedville, NY. Burial will be at the Minerva Baptist Cemetery in the spring. At Larry’s request there will be no calling hours. Memorials may take the form of donations to the Minerva Community Scholarship Fund.